Volvo is back on top when it comes to safety. The Swedish automaker Volvo has always been pathologically obsessed with safety. The company deliberately comes up with new ways to crash test its vehicles in order to meet its goal of building a completely deathproof car by 2020. This is why models like the Volvo XC60 SUV have always been at or near the top of every safety test in the world. Unfortunately, even with such a heavy focus on safety, Volvo was topped by Mazda as the safest automaker in the world for 2017. Volvo hasn't taken this defeat lightly, and is out to prove that its cars are still extremely safe. The company just received a huge win because the XC60 was crowned as the best performing SUV in the Euro NCAP 2017 Best in Class safety awards. 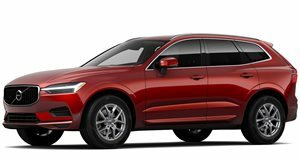 The XC60 scored a nearly perfect 98% in the Adult Occupant category, and 95% in the Safety Assist category, which was 20% higher than the next closest SUV. This performance didn't just help the XC60 earn the best rankings in its class, but the highest overall score as well. That means that the XC60 is now the safest car that money can buy, at least in Europe. These results may not translate perfectly to US crash tests, but the XC60 is still an extremely safe car. Malin Ekholm, Vice President of Volvo Cars Safety Centre, said that "The new XC60 is one of the safest Volvo cars ever made. It is fully loaded with new technology designed to assist drivers, to help protect vehicle occupants and other road users, such as pedestrians and cyclists, plus mitigate collision risks. We are proud that our ongoing commitment to innovating new safety features has been recognized with another Euro NCAP Best in Class award for Volvo Cars." Ekholm reiterated that "Our vision is that by 2020 no one should be killed or seriously injured in a new Volvo car" and the XC60 is the latest achievement towards that goal.